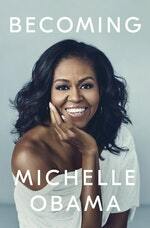 Five facts the book has taught us about one of the most inspirational women of our time. 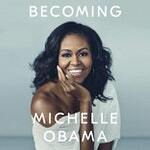 Michelle Obama’s Becoming is the intimate and powerful memoir from the former First Lady where, for the first time, she tells her full story in her own words – from a childhood in the South Side of Chicago to family life at The White House. Here are five facts the book has taught us about one of the most inspirational women of our time. Her White House garden project was more than a campaign. It was a mission. 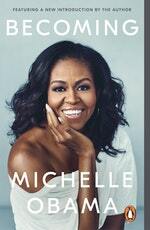 ‘I found myself suddenly desperate to join the celebration,’ she remembers, and after grabbing her eldest daughter Malia, she made a break for it, ignoring the protocol to check in with Secret Service agents and speedily running outside to the lawn. In their own private corner, mother and daughter gazed up at the world’s most famous address – and their home – lit up in Pride colours, just as everyone else was seeing it. Reading and writing are two of my constant companions. Unless I have three unread books on my bedside table, I become uneasy. I belong to two book clubs. There are six female friends in the first. Dancing the Charleston, the new book from the legendary Jacqueline Wilson, publishes this month. Wilson has been writing books for children since 1985 and quite a few of us here at Penguin HQ grew up reading and loving everything she wrote!